LinkedIn wanted to create a program that gave employees time to “focus on themselves, the company, and the world,” said Nina McQueen, VP Global Benefits & Employee Experience. So in 2010 they put a program in place called Investment Day or “InDay” for short. To meet the needs of the company’s growing workforce, which McQueen described as “lean, driven, quickly spreading and out of breath,” InDay was intended to energize teams, giving them a day each month to invest in themselves and their community. But over the years as the company grew from 1,000 employees to more than 8,000 in 30 cities around the world, InDay, like many programs in a high-growth environment, became less visible and effective. Many new employees didn’t fully understand what InDay meant or how it should/could be used. This had to change; the program had to be refreshed. The team also leveraged others, using fellow employees to help create energy and engagement with the program. 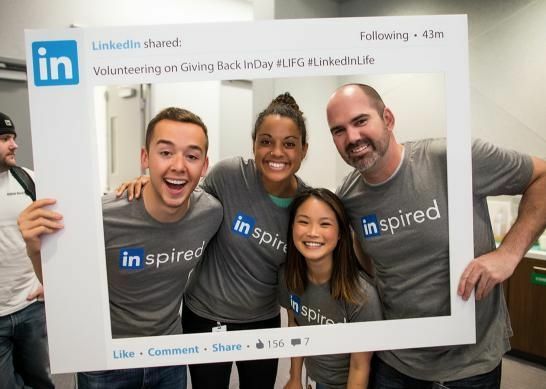 Executives now play an active role in sponsoring monthly themes and participating in events alongside employees, and LinkedIn’s 250-strong culture champions from around the globe help execute events locally. And finally, to ensure new hires understand the program, LinkedIn hired a storyteller to create a video to tell the story of InDay’s origin and purpose through interviews with employees. All of these actions have paid off, re-energizing and turning InDay back into one of LinkedIn's most treasured and appreciated traditions. As your company grows or time passes on, find ways your programs can evolve and/or be re-energized to keep them alive. Don’t think you have to start over or "throw in the towel." Consider ways your programs can create purpose, meaning, connection and collaboration among and between employees. This is essential as you aim to create engaging programs, especially with millennials.